Overpolicing in the form of invasive police encounters like stop-and-frisk affects the health of residents in American neighborhood according to sociologists Abigail Sewell and Kevin A. Jefferson. This infographic illustrates the key findings in their research. What are the health effects of the concentration of police stops within certain neighborhoods? Is there a relationship between reports of poor health and invasive Terry stops? If health effects of invasive police encounters in neighborhoods exist, do they vary by race and ethnicity? 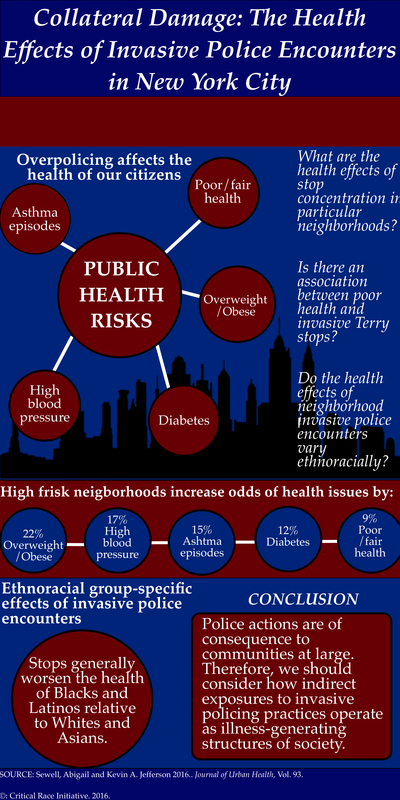 The researchers found that neighborhoods with high frisk rates increased the odds of having health issue related to all the risks mentioned above. They also found that police stops generally worsen the health of Blacks and Latinos, but does not have as significant effect for Whites and Asians. 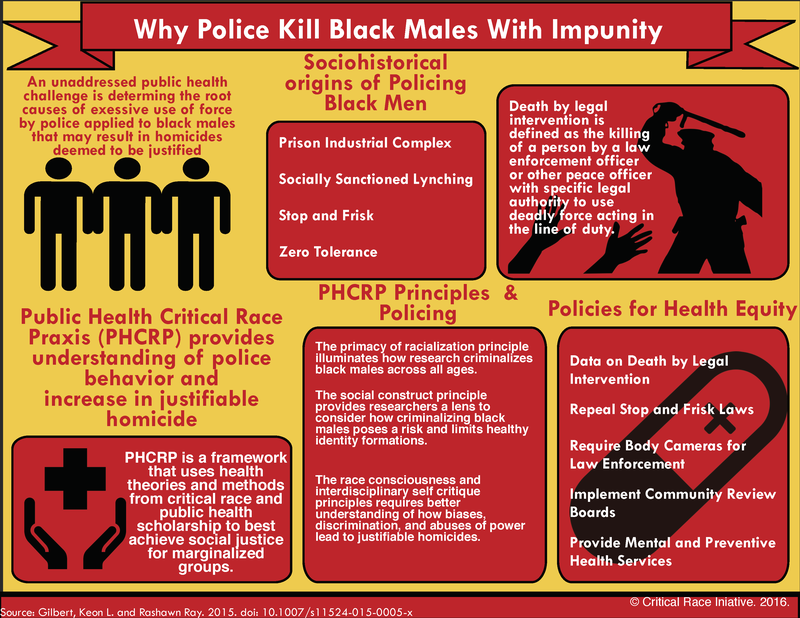 In light of these results, the researchers argue that police actions potentially affect communities by exposing residents to invasive practices that generate illness. You can download a pdf of the graphic here.